If you have a small collectibles business, you will often be looking for ways to improve turnover and reach a wider number of customers than just locals. For many, this means inviting customers to purchase online using a credit card, or even over the phone. Although this may improve your sales, it will also increase your chances of becoming a victim of credit card fraud. Many retailers are left out of pocket when they realised they have been conned by a credit card fraudster. There are a variety of ways you can attempt to avoid this; from business insurance and card protection, right through to not offering ‘Card Not Present’ (CNP) sales. The most important aspect is that you’re aware of your choices, some of which are presented below. 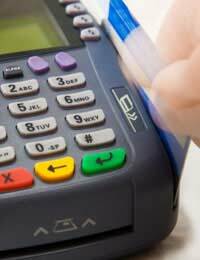 With the recent introduction of Chip and Pin technology, credit card fraud has dropped around 13%. With no signature needed any longer, fraudsters need to develop more sophisticated ways of handling credit card fraud. Sadly, even with Chip and Pin technology, Card Not Present fraud is still on the rise. It’s estimated that although overall credit card fraud has fallen, purchases made online, via mail and on the telephone have risen by 21%. Chip and Pin is really only proving to be more secure at present through face to face purchases, so as a retailer you must be aware of ways of combating these thieves. Although bringing in business is of course, welcomes from any area, CNP transactions are extremely high risk and may not even be covered by your vendor agreement with the credit card machine supplier. The reason they’re so high risk is that you don’t get to see the card or the cardholder at the point of sale. This of course means you’re unable to check the card and you have to rely on the credit card company letting you know whether there’s credit in the account and that the card isn’t stolen. One of the most common areas to be wary of when you’re a small business retailer dealing with Card Not Present transactions is authorising customer orders placed abroad. Around 15% of the reported cases of credit card fraud online comes from buyers in foreign countries and this can be a real issue especially in the collectibles business. The very nature of the collectibles business is that you may have customers approaching you from far and wide trying to seek out the rare or one-off item you have in stock. As a retailer it’s natural to want to sell stock on as quickly as possible and thus selling to customers abroad is an everyday reality. This is where the weakness is for retailers however as many find themselves sending goods abroad and then hearing from the credit card company at a later date that the card has been reported stolen or shows an unauthorised transaction on it. At this stage, it’s often too late to have the goods returned and you may suffer a loss. There are simply no ways of avoiding insurance when you run your own business. In order to protect yourself as much as possible from the pitfalls of credit card fraud, you should have a good insurance policy in place. Even with it however, be aware that it is the responsibility of the retailer to pay additional costs in the event of a ‘charge-back’. A charge-back is a reversal of a transaction that usually occurs if a consumer files a complaint of unauthorised transaction on their card. It can often take weeks from the actual date of purchase to have this complaint filed, as many consumers don’t notice the fraudulent purchase until their statement comes in. At this point, the bank will investigate the complaint and proceed to ‘take back’ the value of the purchase. This of course then leaves you out of pocket and often having to fork out a fee to the bank for the charge-back. You’ll not only have lost the fee money from the charge-back, but also the goods, postage and the payment. Some card companies offer certain safeguards to merchants to help prevent credit card fraud, but even these aren’t always 100% reliable. Companies such as MasterCard and Visa offer Card Protection through their MasterCard Secure Code and Verified by Visa schemes. This helps merchants avoid the charge-back issue through online purchases and is definitely a worthwhile safety guard to have in place. Other methods can be the Address Verification Service which is provided by your bank. This compares the address of the credit card purchaser with the address on file with the issuer of the card. There’s also additional Card Security Code procedures that can be used that need a string of numbers to be submitted at the time of purchase. Your bank should be able to help you with more information on all of these extra types of insurance and protection methods.